Baltimore, the Charm City, lives up to its name. A diverse and vibrant city, Baltimore is big enough to entertain, with a small town feel. 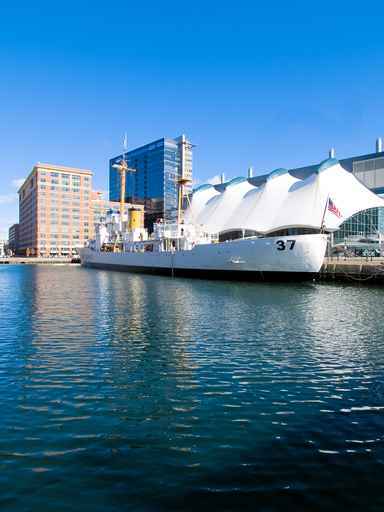 Sitting on the picturesque Chesapeake Bay, Baltimore has an active water front culture. Known for the delicious blue crabs and spicy Old Bay, Baltimore is home to countless delectable restaurants, a brilliant night life, and a budding micro-brew culture. There is something for everyone here in the Charm City, rich with history, there are museums for all interests, from modern art to Edgar Allen Poe, and festivals all year round that celebrate the diversity, food, and culture. And let us not forget Baltimore's deep love for their sports teams! Go Ravens! Baltimore City is surrounded by sprawling natural beauty and country charm, making rural living with easy city access a feasible dream! Only a short drive from The Nations Capital, Ocean City Maryland, Philadelphia, and the outdoors mecca of Harper's Ferry WV, the city is centrally located, and easy to navigate. This is the place to raise your family, find competitive employment, and enjoy all the stunning scenery Maryland has to offer. Give The Ege | Clasing Team a call today, and make this exciting and dynamic place your next home.